has a power supply rail that’s parked way up high. 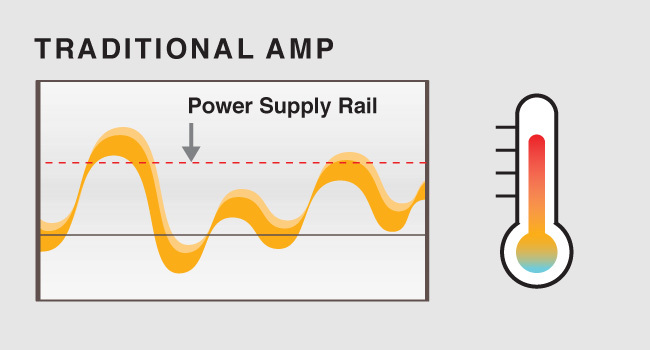 The current required by the amp to produce the audio signal varies under that power supply rail, sometimes way below it. The difference between the instantaneous value of the current and the power supply rail has to go somewhere, so it gets converted into heat—and often a great deal of heat at that. Sunfire engineers took an unconventional approach to power supply design and in the process substantially reduced the wasted current and excess heat. 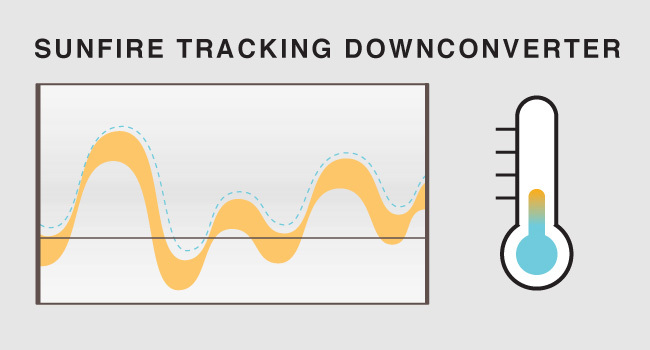 Sunfire's Tracking Downconverter™ power supply dynamically adjusts the output of the amplifier to suit the fluctuating requirements of the incoming audio signal. Think of it like the cruise control in your car. Let’s say you set it for 65MPH. 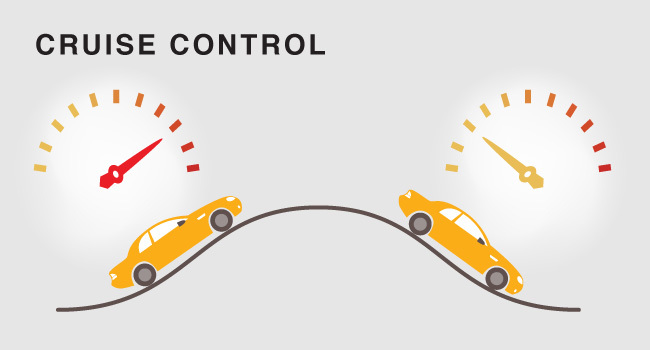 If you start up a hill, your cruise control dynamically “steps on the gas” to provide more fuel to the engine to maintain your speed. Start down the hill and your cruise control lets up on the gas accordingly, again to maintain your desired speed. on-demand power—in this case, current—is available when the subwoofer amplifier needs it, and even for the most demanding sonic passages. It always sits a mere 6 Volts above the voltage needed to send the required signal to the speaker, and this high efficiency keeps the amplifier running cool. Q: Is the Tracking Downconverter what gives Sunfire subs a big sound in a small cabinet? A: Well, that’s part of it. We suggest you read about another Sunfire standout feature: High Back-EMF.